A MAN HAS been airlifted to hospital in a critical condition after he was washed into the sea in Co Clare this afternoon. The man is believed to have been taking photographs at the base of a cliff at Creeragh, off the Dunlicky coast road, near Kilkee. It’s understood he was struck by a rogue wave and washed into the sea. The man is believed to have made his way down to the base of a cliff before he was swept off the rocks. He is understood to be 30 years old and from Hungary but living in Galway. Emergency services were alerted at around 3.30pm and a major search and rescue operation was mounted. 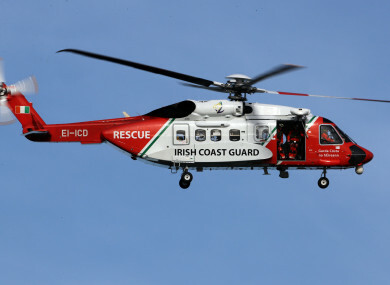 Gardaí and volunteers from the Kilkee unit of the Irish Coast Guard were dispatched to the scene while the Shannon-based Irish Coast Guard helicopter, Rescue 115, was also tasked to assist in the search. The helicopter crew soon located the casualty and winched him on board the aircraft and rushed to University Hospital Limerick for treatment. Email “Man in critical condition after being washed into sea in Clare”. Feedback on “Man in critical condition after being washed into sea in Clare”.